Which sunnies for taking to the seas? Franck Cammas guides your eyes. Whether it's sunny or overcast, sunglasses are always an essential part of any sailor's kit. And they're even more critical when on-board performance is a priority, as in the case of Franck Cammas, one of the most decorated skippers in the world of both multihull and monohull sailing. What are the most important features of a good frame for sailing? Franck Cammas: "Obviously, it has to be comfortable. For me, sunglasses can be classified as good if you forget you're wearing them. They have to be light, and comfortable on the ears and nose, but at the same time have excellent grip because when you're performing maneuvers, your head can move around quite suddenly. 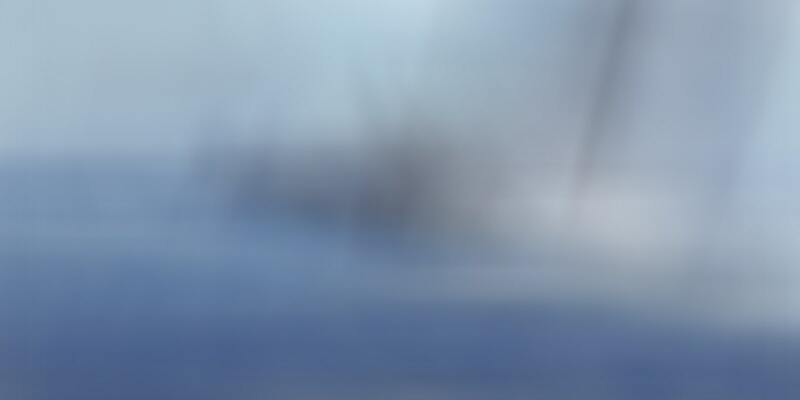 To protect yourself from the elements, the frame must also be fairly wide and offer good coverage, sit not too far from the eyes and have sufficient venting to prevent fogging. Last but not least, our glasses are tested to the max and sometimes get knocked around so tough materials are important." To protect your eyes at sea from glare, spray and wind, Franck Cammas recommends the Regatta model – "a good frame combining the features I've just mentioned" – and worn by the Julbo skipper in the challenge of the America's Cup. Designed for excellent nautical performance, they offer grip and toughness with a curved polypropylene frame. Low-density material and the floating cord will stop the sunglasses from sinking. Thanks to an open rim to facilitate water run-off, they also offer an unimpeded view. Featuring slim, wraparound temples, Regatta is ready for anything! And in terms of technical lenses, which do you prefer? Franck Cammas: "Good vision is essential for knowing whether the boat is set up properly, mainly by observing the sails, and for analyzing the wind. Being able to distinguish different colors on the surface of the sea provides information on the nature of the wind and how it might change, for example, the appearance of "cat's paws" or little ripples on the water. Lens polarization, which increases contrast, is therefore very useful. Photochromic technology allows us to adapt to any situation, because depending on which way we're tacking, we're either in the sun or shade. Clouds can also change the ambient light conditions very quickly. Having lenses that react fast is therefore essential, especially in regattas where you change tack more often than in offshore racing." Designed in close collaboration with Franck Cammas, the photochromic and polarized Reactiv Octopus lens will allow you to tackle all conditions, on all oceans, with a single pair of sunglasses. Polarized: eliminates surface water glare. Photochromic: the lens gets darker and lighter according to the intensity of the light, going from category 2 (30% transmission of visible light) to category 4, and regardless of the temperature (NTS technology). External and internal water/oil-repellent coating: makes water run off the lens for easier cleaning and improved visibility. Gray tint: faithful color reproduction. Suitable for prescription use: available in an RXTrem version. Can goggles be useful when conditions are extreme? 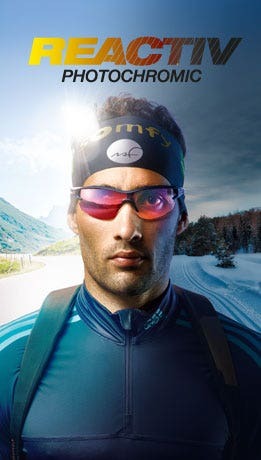 Franck Cammas: "Yes, they offer an alternative solution to sunglasses. In competitions like the Volvo Ocean Race, where the deck's permanently covered with water, it's not unusual to wear goggles and sometimes even a full-face helmet. They give you better protection from potentially violent spray and offer a wider field of vision. Ideally, you need fully waterproof goggles with a venting system and a water-repellent coating to make the water to run off the lens." 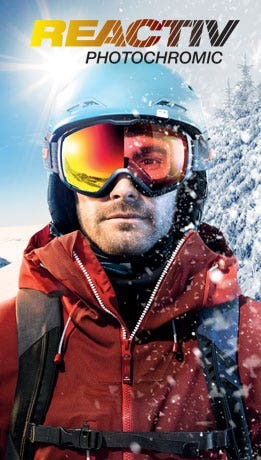 See our full range of Julbo sunglasses.